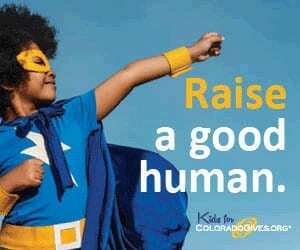 One of the ways you can participate in Colorado Gives Day with CBMBA is by helping a kid in your life learn the joy of giving! KidsforColoradoGives.org connects young people with local nonprofits and makes it safe and easy to donate online. They have a whole stack of fun, kid-friendly activities to get kids excited about giving, including this quiz to find out “what kind of giver you are.” If you’re looking for ways to keep your kids entertained while they’re on break from school this week, check out the whole Activity Pack here. For a limited time, they are even offering 2 for 1 on $10 gift cards. So, the way that Kids for Colorado Gives works is that you (an adult) buys a kid a Giving Gift Card here. Then they get to pick what charity they want to give it to on the ColoradoGives.org, and the Gift Card allows them to give the money without having to put in personal info and such. So, now you can double your giving power, buy getting 2 gift cards for the price of 1 and spread the love! Over here at CBMBA, we’re giving thanks for YOU! Thanks to everyone who has joined CBMBA, donated, volunteered, or ridden bikes with us this summer. We really are a club–by and for our members–and we are so thankful that you are part of CBMBA!